It's that time again; the moment of truth. 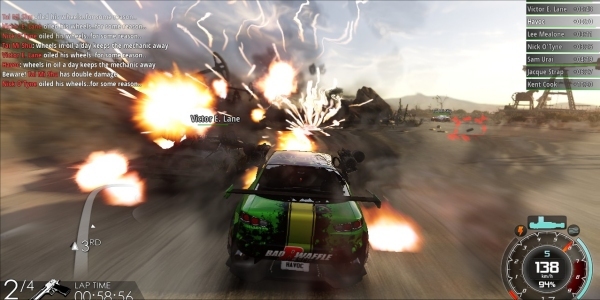 Following a couple of impression pieces detailing the gameplay and mechanics of Gamepire's Gas Guzzlers: Extreme, there comes a point where you have to roll out a list of the game's pros and cons: what makes it tick and whether or not those ticks are entertaining enough to warrant any interest from you. So before getting into the nitty gritty, what is Gas Guzzlers: Extreme? It's a combat racing game by every meaning of the definition. You battle it out while racing toward the finish line, and it's completely unforgiving in the best ways imaginable. Special power-ups carry a lot of weight and skill is most certainly an important aspect of race, either in the way that you drive or the way that you use specials. The game sports a career mode, a quick race and a multiplayer (that no one ever plays). The reviews for the game have been generally positive, with big and small places alike praising the game for being pure fun, such as Skewed 'n Reviewed and even TotalBiscuit. But this article isn't about what other people think about the game; this is about what works and what doesn't. So we'll start with the pros. 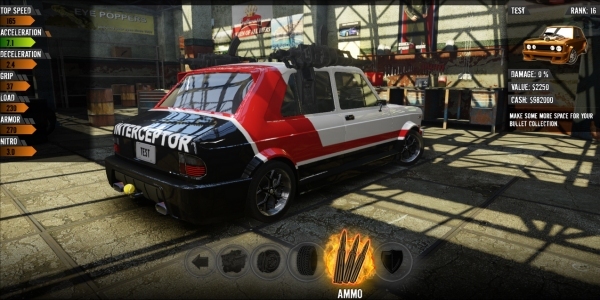 There a couple of modes in the game but majority of the content in Gas Guzzlers is contained either within the multiplayer online mode or in the game's career mode. 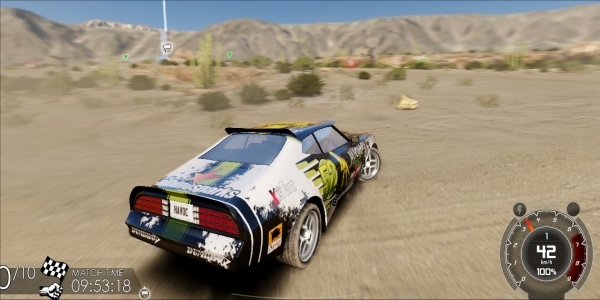 I was pleasantly surprised to find that the game's main mode was a fully fleshed out, fully functional, well conceived mode that has players evolving their skills, play-style and garage over the course of extended races, sponsorship challenges and deathmatch battles. 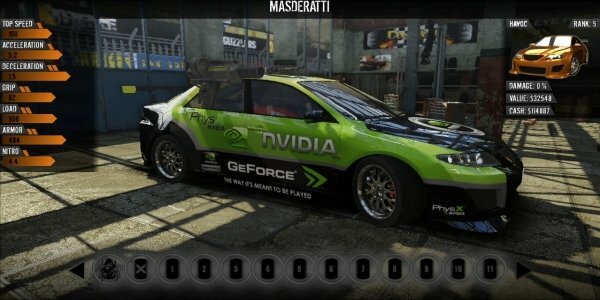 Things start off small with a few cars and a few weapons, but as players begin winning races there are more tracks, modes, tournaments, weapons, stickers, customization parts and vehicles that become unlocked as well. This mode feels like a throwback to the old days of gaming where there was a feeling of accomplishment and surprise as more content in the game is opened up as various tasks are completed. The mode isn't readily replayable after you conquer it, but it offers enough content and playability that it feels meaty enough to give the game a feeling of content-depth, and that's very important in this day and age where many big (and small) titles suffer from content-anorexia. The most important part of Gas Guzzlers – besides the vehicle handling, which is arcadey and generic – is the combat. The main crux of the game hinges on how well weapons, battle racing and the deathmatch modes come together. 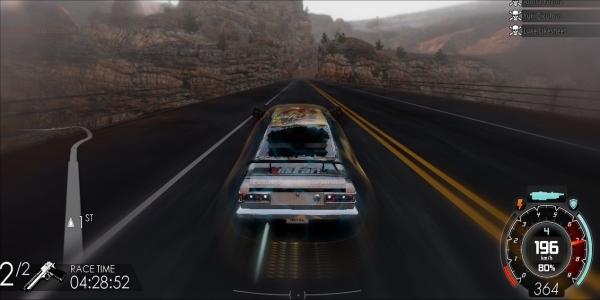 Now, there are very slight elements of change in the way cars handle in the game, but Gas Guzzlers isn't a simulator, so all the vehicle handling is executed in a very basic way, with some cars turning more or less sharp than others and some cars having more or less acceleration and/or speed via incremental variances. The real meat of the gameplay is in the different weapons and how they're used. Shooting a car point-blank with the dual shotguns can completely tip them over, just the same as shooting mid-ranged scatter bombs can do massive AOE damage to any opponent in front of you. Each weapon behaves different from the next and there are upgraded versions of some weapons that can be unlocked throughout career mode, challenging players to think strategically about how they battle it out on the track against opponents. Finding a satisfying weapon and car combo can result in some amazing on-track experiences and it's one of the true highlights of the game. Gas Guzzlers isn't the greatest looking game ever, but the graphics do play a part in the way the combat and gameplay is handled. So yes, graphics do matter and can affect gameplay. In this case, it's not just about the pixel count and texture resolution, but more-so in how particle and visual effects are handled. A large portion of the game's tension is in whether or not you're one rocket hit away from being obliterated and taken out of the race, or if you're one shotgun-blast away from taking out the guy who has been holding first-place for you. A lot of these elements and the tension therein, are connected to the way game is visually represented through the graphics. 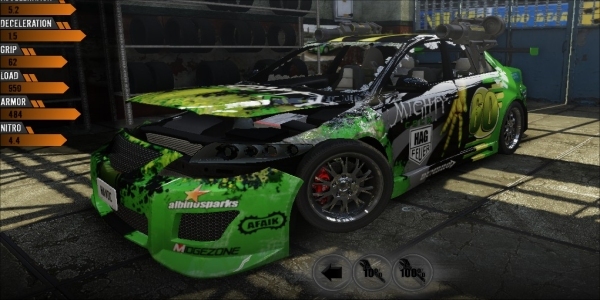 Shrapnel blasting out of damaged cars, flaming wrecks sending smoke to the heavens after being completely destroyed and seeing cars react and respond visually to the damage they receive all play a part in helping the races unfold in a dynamic and organic fashion. There are some who will argue that graphics don't matter, but for this game it actually helps tell a story over the course of a race and I'm thankful Gamepires didn't shirk on the visual front. I mentioned before in an impression piece that I did have a minor gripe with Gas Guzzlers: Extreme, and it was in spite of the game's amazing visuals that the cars themselves didn't properly have accurate damage models. This minor quip rang especially true when the vehicles were reacting to collisions and incoming fire. A rocket to the back of a car didn't explode the back of the car, it just defaulted to the next model asset that suited the appropriate amount of health in the meter. Again, it's a minor thing given that Gas Guzzlers: Extreme is an indie game and that it was made on a much lower budget than other big time racers. This is also to say that despite this being a “con”, the damage models don't actually detract from the game's gloriously satisfying sense of destruction and vehicular carnage that takes place in arenas or on the race track. There's nothing much to write here because there was never a time where I was actually engaged in a much with other people. Sadly, no one is ever online in this game. I'm not sure if it's because the people who bought the game just don't care about multiplayer, if they were on at all times of the day when I wasn't on or that they weren't on at all times of the day when I did log on, but the online multiplayer is just non existent. There are various servers setup to run and allow for gamers to join at their own leisure, but good luck finding a game that actually has someone in it. This isn't the game's fault, but just a circumstance of the situation where there's no one online to play with, thus resulting in no online games being populated. A shame, too, because Gas Guzzlers: Extreme could be exceptional fun online... if there was ever anyone online to play with. Again, another minor thing but a thing worth mentioning. While home consoles are trying to wall off content and limit playability by forcing online accounts over local play, there seems to be a reemergence of splitscreen play on the PC front, mostly due to Steam's support of Big Picture Mode and since you can plug-'n-play local games in Steam by hooking up two Xbox 360/One controllers. With that said, a splitscreen mode for Gas Guzzlers: Extreme could have been the one mode that helped make or break the game as a true, undeniable classic. Splitscreen certainly isn't the end of the world, and its absence doesn't really degrade any aspect of the game, but had it at least been an option it could have seriously raised the value of the game, especially since the online multiplayer is bust. Also, this entry is here mostly because here's hoping splitscreen makes it into the third game (if there is one) and because there really aren't any other "cons" with Gas Guzzlers: Extreme, which is a good thing for discerning gamers. Gas Guzzlers: Extreme is available right now during the Steam Sale for only $12.99, but the game is regularly available for $24.99.